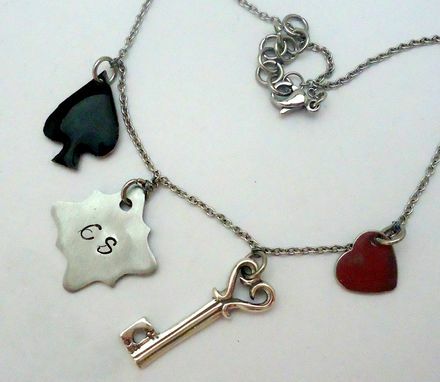 I can make you an ankle bracelet (or bracelet) with any charms from any metal and any size. 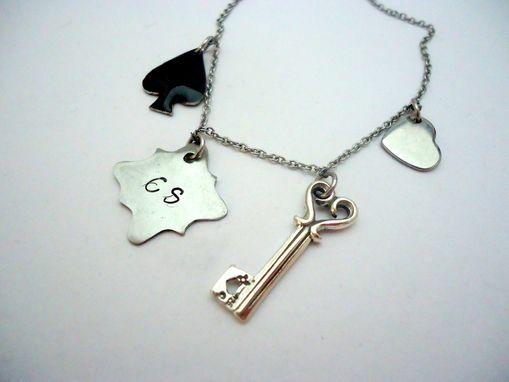 If I cannot find a charm you want I will make it. 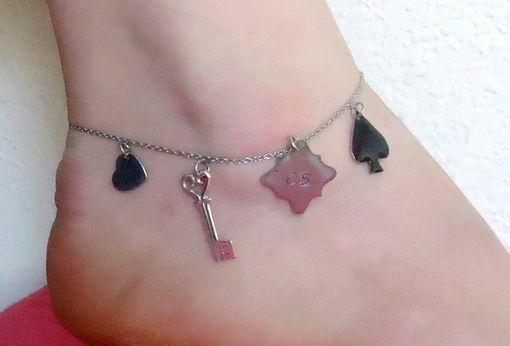 It was requested that I make an ankle bracelet that was 9 inches, adjustable to 10 inches, from stainless steel. 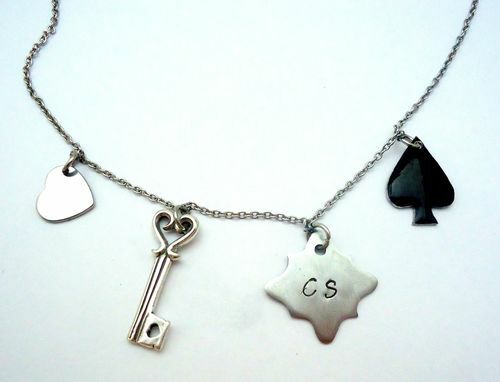 The client wanted a black spade, a key, a heart, and a charm that said "CS". 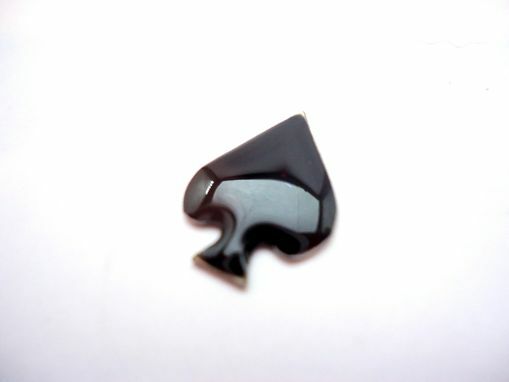 I made the black spade from stainless steel and enamel (on both sides). 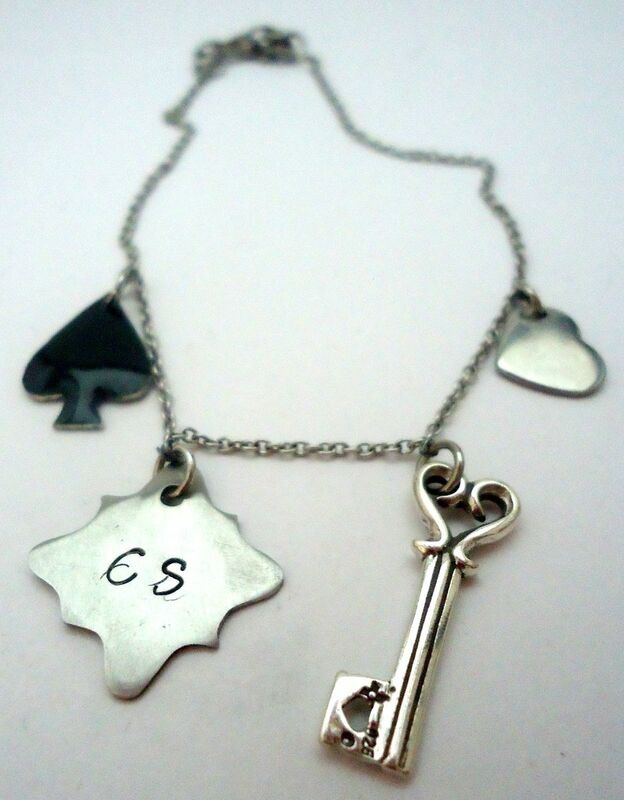 I also made the CS charm in the shape the client requested. The key and the heart I purchased.